To begin, not every dog is a good candidate for a trip to the dog park. Any dog with a history of aggression toward other animals or people should not be taken to a dog park – period. Additionally, some dogs simply don’t enjoy free interaction with other dogs – you may notice their tail is tucked, ears are back, or they continuously run away from or avoid any dog who tries to approach. If you’re on the fence about taking your dog to a dog park, err on the side of caution. A leashed walk through the neighborhood or a local trail is a wonderful way to provide exercise and mental stimulation without putting your dog in an uncomfortable or dangerous situation. One of the biggest dangers associated with dog parks is dog aggression/fighting. Dog fights can break out seemingly without warning and for a wide variety of reasons. Even dogs who have never behaved aggressively can find themselves fighting inside the confines of a fenced dog park. Becoming injured is a real possibility and can result in long-term anxiety for your pet. Constant vigilance is essential anytime you take your dog to a dog park – in other words, this is not a time for checking emails or chatting extensively with other dog owners. Your eyes should be on your dog at all times so you can quickly intervene if trouble is brewing. Clear the area, and make sure other people and animals aren’t nearby. If the fight has just begun, loud clapping or shouting may be enough to distract the dogs. Try spraying or dumping water on the dogs or tossing a towel over their heads to stop the fight temporarily. This should buy you enough time to separate the dogs. When all else fails, you and the other dog owner should carefully and quickly grab the dogs’ hind legs and lift them off the ground (wheelbarrow-style). The dogs will disengage and can then be pulled back and secured by their owners. Always keep your hands far away from the mouth during a dog fight! Anywhere dogs congregate, there’s the potential to transmit disease and parasites. Make sure your dog is fully vaccinated (including the Bordetella, or kennel cough, vaccination) and is on a year-round flea, tick, and heartworm protocol before taking them to a dog park. Puppies and unvaccinated adult dogs should not go to a dog park for any reason. Don’t allow your pet to investigate the feces of other animals. Always clean up after your dog to prevent the spread of disease and parasites. 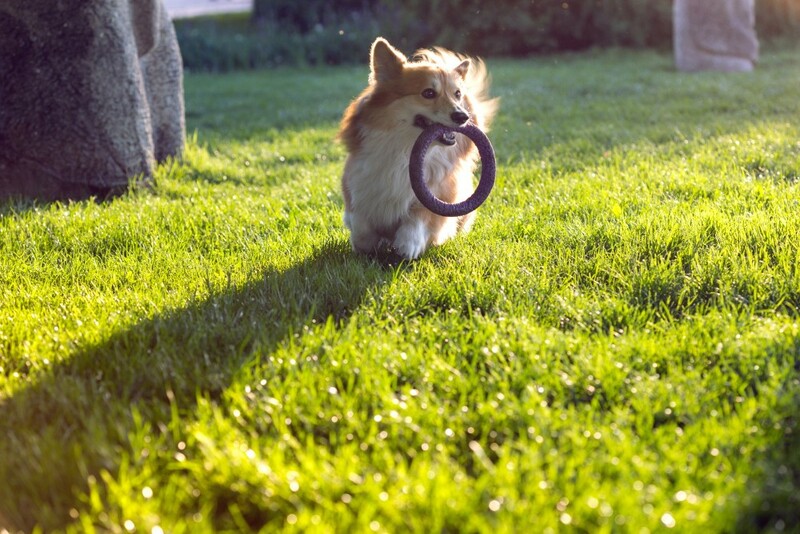 Always make your dog’s safety your top priority when it comes to dog parks! If you have any questions or concerns about your pet, please don’t hesitate to contact the team at Beverly Hills Veterinary Associates!